Born into a prominent Dunedin Jewish family, Ethel Benjamin excelled at Otago Girls’ High School, where she passed the university junior scholarship examination in 1892. The following year she became the first woman to be admitted to law school when she entered the University of Otago, the first university in Australasia to permit women to take a law degree. She proved to be an outstanding student and duly graduated LLB in July 1897. 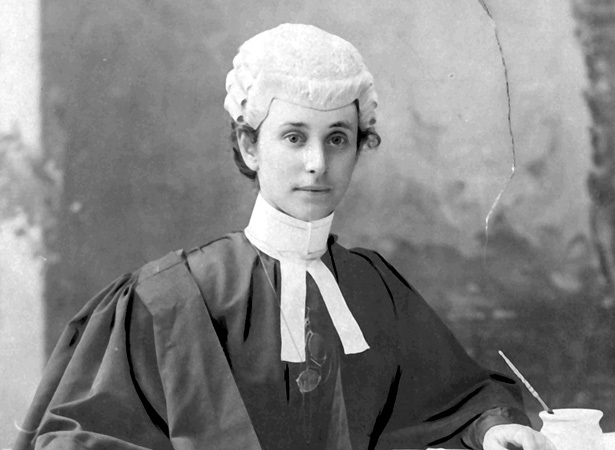 Following the passage of the Female Law Practitioners Act 1896, on 10 May 1897 Ethel Benjamin became the first woman to be admitted as a barrister and solicitor of the Supreme Court of New Zealand. We have 16 biographies, 4 articles, related to NZ's first woman barrister and solicitor appointed.